Class | RAW GODDESS, INC.
Posted on April 29, 2018 by RawGoddessInc. As we continue to emerge from the shadow zone of Mercury Retrograde, beautify yourself and your surroundings. This is a good time to make peace with something or someone, and it is an especially good time to make peace with yourself. We are all reflections of our partners, and friends, and ultimately our environment. It’s nature it’s the balance. And it is always very important to tune into what you truly want at any given time. Listening to our inner voice will guide us thru tricky confusion rising up for this Full Moon cycle. This is the Full Moon of the Shadow Self, the Other. Now’s a great time to rewrite the soul contracts you’ve made with other people. We can always choose the script of our lives and how we interact with the outside world. For the Full Moon in Libra, get out and be social! Facebook and Instagram keep us globally connected but we all need real world love and communication too. Teaming up with like-minded friends will be a smart move in this Full Moon cycle. There are some things we can do on our own but not everything! People come into our lives to show us sides of ourselves we never even knew existed! This is the area of the sky where the veil of Life and Death is razor thin. This is the zone of the Underworld. Reach out to your Ancestors and spirit guides, pour libations and send prayers to the Angels helping to protect you always. The Libra Full Moon cycle will be in effect for the next 2 weeks. This is the full moon for self-care and an upgrade to our beauty regimens. If you would like to learn more about this alignment in your 13 Sign Birth Chart and take a private 13 Sign Astrology Class with me, fill out the contact form below. Posted on July 8, 2017 by RawGoddessInc. Hi everyone! I hope you are All enjoying my 13 sign esoteric astrology articles. In reality there are 13 months per year! The Moon completes it’s cycle every 28 days. 28 X 13 =364. The number 13 symbolizes completion representing the feminine aspect of Life & Death. There are 13 Moon Goddess Cycles and 13 Signs of the Real Zodiac Circle. This Full Moon aligns with the constellation of Sagittarius, the wise Sage. Use this time to make sense of all the lessons and wisdom you have accumulated over the years, especially in the last few. At the end of 2012 for the Mayan Calendar alignment, our Ascension process accelerated! The Earth and all its inhabitants have been transforming rapidly ever since. This means you! We are All now called for this full moon cycle to dig deep and find the meaning. Use the wisdom of those lessons and the knowledge you have gathered to move forward. 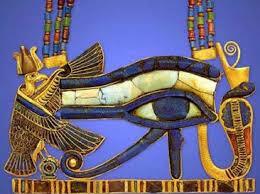 Traveling, gypsy and wise, Sagittarius in Egyptian astrology is Tehuti or Thoth. Spiritual Wisdom. Knowledge and therefore Magic! The Higher Mind. Try to see the bigger picture in your Life right now. With faith and knowledge anything is possible. Tehuti is the god of magic, wisdom, art, writing and religion. Go deeper into your crafts for this full moon alignment. Search for your purpose. Write it out. A short trip will help the process. It may also be a good time to move to a foreign land and learn something new. Just make sure to remember, traveling starts in the mind. Oh yes! Before you go to sleep tonight, think about where you want to go and who you want to be. This will be a great exercise for the next 2 weeks, till the New Moon. Sagittarius is a wondrous energy! Expect to see abundance and prosperity all around you! Promise yourself that you will expand your horizons in the next few weeks. A positive and hopeful mental attitude is Sagittarius’ main agenda. Let this and our rapid ascension guide you to a super optimistic attitude! I promise you will see and feel a difference immediately. The universe is rooting for us All right now! Take advantage of this expansive and dynamic star sign and all of our current planetary alignments! This is my moon sign and I am very thankful for the messages I am receiving right now! Do you believe in Magic? And what does it mean to you? *Full Moon energy lasts for 2 weeks. If you would like to learn more about this alignment in your 13 Sign Birth Chart and take a 13 Sign Astrology Class with me, fill out the contact form below. Posted on June 8, 2017 by RawGoddessInc. I’m sure by now most of us have heard about the 13th sign in astrology. But many are still asking, is it real and what is it called? Where did it come from and why does it have to change everything!? In my line of astrology work we shed light on what this sign is all about. I especially, since my birthday, November 30th is the official 1st day of the 13th sign! Whoohooo! November 30- December 17th we should be proud! 13th Sign people are super cool and gifted! I found the 13th sign, Serpentarius aka Ophiuchus, about 15 years ago! Yes! In 2001, I was 19 years old and already heavily into astrology. By then, I had read just about every book in the library on western tropical zodiac and was onto sidereal, Vedic, Egyptian and Indian astrology studies. Once the words Ophiuchus Serpentarius entered my vocabulary, I never stopped looking for more info on the subject. Sidereal astrology is based on the actual positions of the stars and that’s how I found it. I can honestly say knowing the true position of my planets has given me a unique ability to give more in-depth readings and directly channel planetary energy. So what’s up with this Ophiuchus sign? Ophiuchus Serpentarius is located in the center of our Galaxy keeping everything together. This constellation holds the keys to many mysteries. It includes 2 black holes and supernovas, super bubbles and mini star burst galaxies, intense heat, shock waves and molecular oxygen just to name a few! I find it interesting and no coincidence that the ancients named this part of the heavens Serpens and Snake Nebula, then hid it. All of the Secret Societies and conspiracy theories do come to mind, and they should! Ophiuchus Serpentarius represents all hidden knowledge especially Alchemy. In mythology, Ophiuchus embodies the legacy of Asclepius and Imhotep, master healers and magicians. In antiquity, the symbol of the snake represents wisdom and sacred knowledge of Ascension and Life after death. All around the world snakes were depicted as extra-terrestrial with the power to transform. Could the 13th sign be a gateway to other dimensions? There really is so much I could go into about this subject and I would encourage you to have your 13 sign birth chart done by me to see how this energy is being projected. In astrology each sign governs an area of the body and a mode of operation. The 13th sign is positioned between Scorpio and Sagittarius. What does it represent? The kundalini of course. The Birth Canal. Snakes in a black hole. Transformation. The 3rd Eye and beyond. The Astral Body and all its powers. I can tell you from personal experience and also historically we all have these abilities. Some people are just more aware of it and utilize them more than others. Being born with 4+ planets and asteroids in the Scorpio Ophiuchus zone, there was no way I would miss this information! Serpentarius Ophiuchus is still a mystery and may always be confusing to the western world of thinking. I’ve decided to compile keywords, gods, goddesses and pictures to stimulate the awareness for this Full Moon in the 13th sign tonite. *This Full Moon in Ophiuchus energy will be in effect for 2 weeks until the New Moon. It’s a great time to get into your healing gifts and do a cleanse. This type of energy tends to pull on everything around it as it funnels and recycles information. Find more time to pray, chant, visualize and meditate as the Heavens are extra activated and open. All you have to do is tune in and be a channel of healing. &Readings & Classes Order Here-> 13 Sign Astrology Session- $25 Special! If you would like to learn more about this alignment in your 13 Sign Birth Chart and take a 13 Sign Astrology Class with me, fill out the contact form below. Posted on September 30, 2016 by RawGoddessInc. For the Virgo Black Moon, choose to be calm and productive today. This is a time to thoroughly heal and reorganize ourselves. We are coming up on the end of a very important Mercury Retrograde shadow. Many changes have already begun since the Full Moon Lunar Eclipse in Pisces, and we are closing out the year with time moving very swiftly! This Black Moon in Virgo will be perfect for cleaning up and clearing out! It is best to keep order and balance of mind and spirit, to meet the necessary changes with grace and divine protection. In 13 sign astrology, we know that Virgo is the longest constellation and spans about 44 degrees! This detail oriented super intricate sign represents the digestive system and all its sensitivity. The colon is the longest part of the body and is a group of nerves having its own intelligence! Hence the phrase, Gut Feelings! Virgo is an earth sign. The mental earth sign. The purity of the Mind and its intentions. Heaven and Earth are One. It was revealed to me in more ways than one, that Virgo represents Ma’at the Matrix Mother. The virtue of the Goddess and her principals. Ma’at is here to remind us of Universal Truth. Everything is connected and works together to create the whole. Ma’at is the Goddess of Universal Order and Virtue. Virgo is the sign of organization, purity and virtue. The earth is a living breathing organism and we are All part of it. Ma’at keeps everything moving, balanced in the sky and on Earth! The equinox is the balance of seasons in relation to Heaven and Earth. Mind and Body. It is important to remember your mind and body as One. All things are connected and we are living this more and more each day! Maat is also known as the Double Winged Goddess. That which is within me and that which is around me. Maat is the union of opposites that create harmony. Laws of the Universe. Laws of Oneness. Maat is a Goddess, a concept, and a principle. The Double Winged Goddess of Right and Truth. This will be a powerful New Moon new start, especially after that strong Virgo/Leo Mercury Retrograde! And we are still in the Mercury Retrograde Shadow! Virgo represents the woman, the mind, the earth and the Maatrix Mother. Where all things are connected. All actions carry seeds of their own justice. Thanks for reading & sharing! *The Black Moon in Virgo cycle will be in effect for 2 weeks and the Mercury Retrograde shadow in Leo/Virgo energy will also last for about 1 more week til Oct. 6th. If you would like to learn more about this alignment in your 13 Sign Birth Chart and take a 13 Sign Astrology Class with me, fill out the contact form below. Posted on April 7, 2014 by RawGoddessInc. 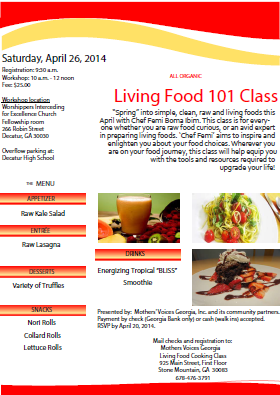 Join me April 26, 2014! Register today 🙂 Happy Spring!